Nitti Footwear, now stocked by Rural Outlets , manufacture safety footwear designed by renowned Italian safety shoe designer, Mr Franco Losio. Nitti safety boots and shoes are manufactured in Asia using the the latest European and USA technologies, approved by Australian and Singapore safety standards, a factor of utmost importance to Rural Outlets when taking on a new safety footwear range. Rural Outlets can ensure customers are getting optimal foot protection with Nitti safety boots and shoes as not only do Nitti shoes meet international safety standards, constant research and technological development show theses safety boots and shoes stay ahead of them. Rural Outlets also know first hand that not only are Nitti safety boots and shoes safe to wear, they are also comfortable and stylish, after all, the staff wear them too. 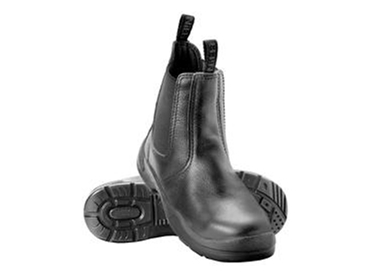 Nitti safety footwear can not only be worn in an operational environment like a factory, mining site or shipyard, they can also be worn in an office, during casual outdoor activities, or simply as a casual pair of shoes. high, mid and low cuts.